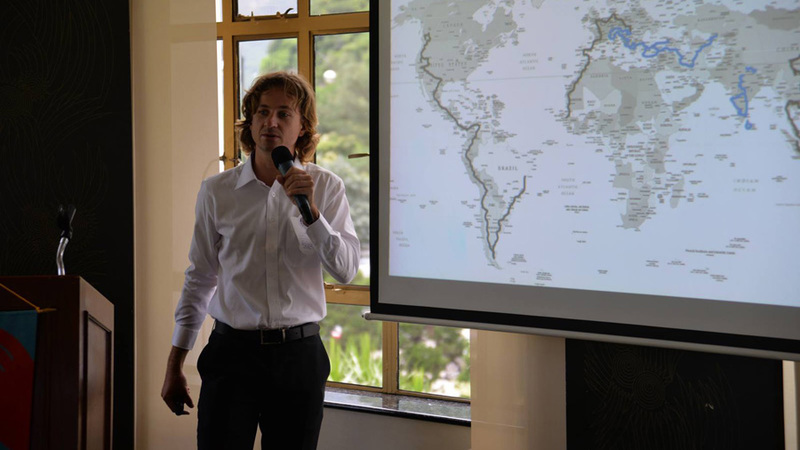 Karol Voltemar is having a talk at Rotary Club in hong Kong about World Bike Travel. If you are interested in arranging a presentation or talk (to the company, club, association, institution, family reunion, high school, elderly center, etc. ), please feel free to contact me. You can also view my current tour plan here. I can offer interesting talk about various topics from my travels and life. Past 14 year I traveled more than 5 years with different modes of transportation. My favourite one is bicycle, but I am also into the hiking. I traveled so far across more than 70 countries with or without a bicycle. The biggest cycling tour I did is World Bike Travel when I spent on the road 41 months. During my travels I was running own ecommerce business and online marketing agency. My favourite topic to speak about a journey of a lifetime. Once idea of travel the world came to my mind. In 2013 I set off for a a trip to cycle around the world that open up my eyes and changed my life forever. I can tell you about my story how I was exploring world for 41 months from 2013 – 2016 and cycled 74 000 km. Sound simple, but in reality was thought adventure. So many different roads, steep uphills, many situations I was not expecting, biting winds and inclement weather I had to fight with. It was a mental and physical challenge (getting throught my own limits). During the adventure I was meeting people and cultures all over the world, kind strangers (that helped me many time on the road and not even know my name) and real face of the world.